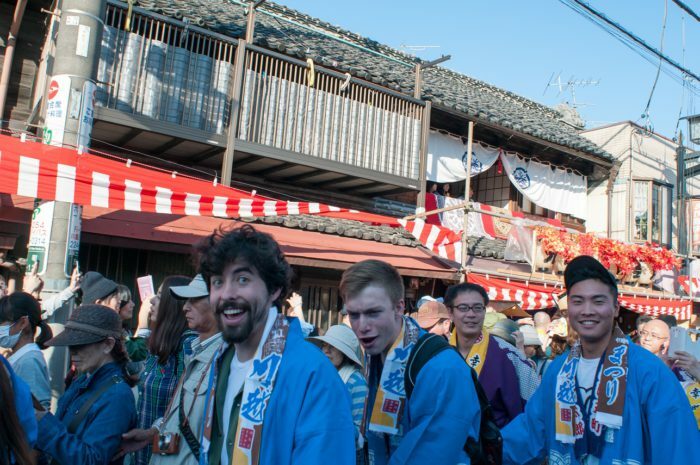 Kawagoe Festival – What is Dashi, Happi and Tenugui? 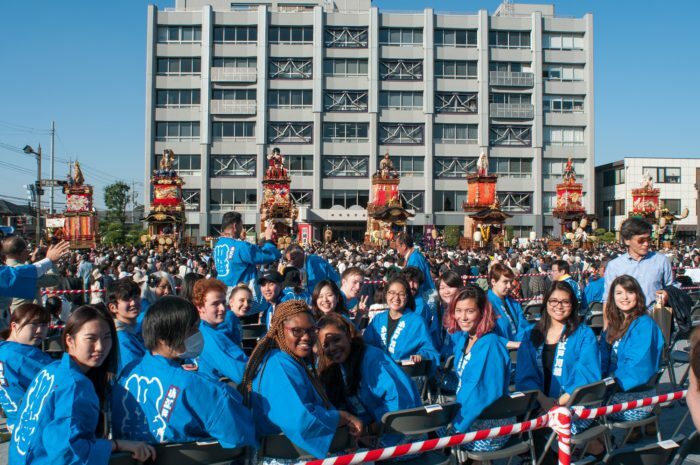 On October 15th, our JSP students attended Kawagoe Festival under the invitation of Kawagoe City Government. 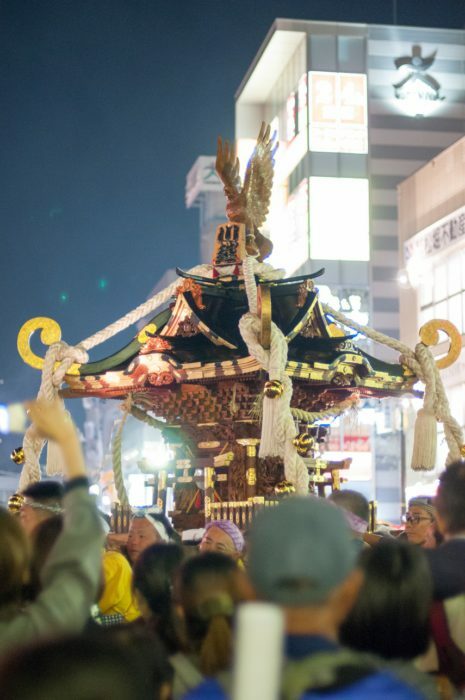 The international students joined together with the local residents to pull the massive Dashi – festival floats. Each student was provided with a Happi – Japanese festival coat and a Tenugui – traditional towel. Though they had to return the Happi after the event, they could keep the Tenugui as a souvenir. Prepare to pull the float! 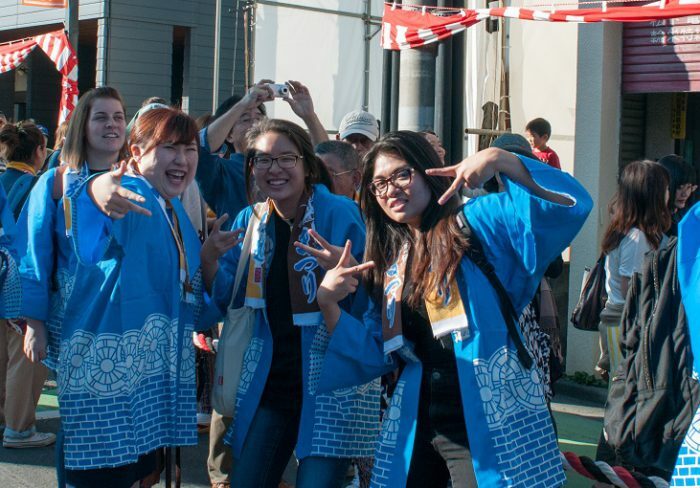 JSP students were escorted by TIU International Exchange Staff and their Japanese Peer Assistants (PAs). While it was the first time for everyone to actually joining a massive festival in Japan, our staff and PAs made sure everyone are well guided and can enjoy the festival at their best. 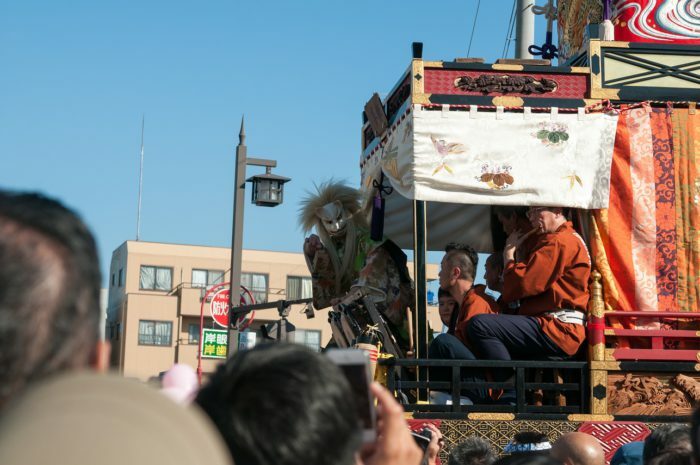 The Kawagoe Festival’s strongest feature is the festival float event which reproduces the ’Edo Tenka Matsuri’ festival. Spectacular festival floats carrying exquisitely crafted dolls are pulled around the center of Koedo-Kawagoe’s landmark Kurazukuri (traditional architecture) Zone. 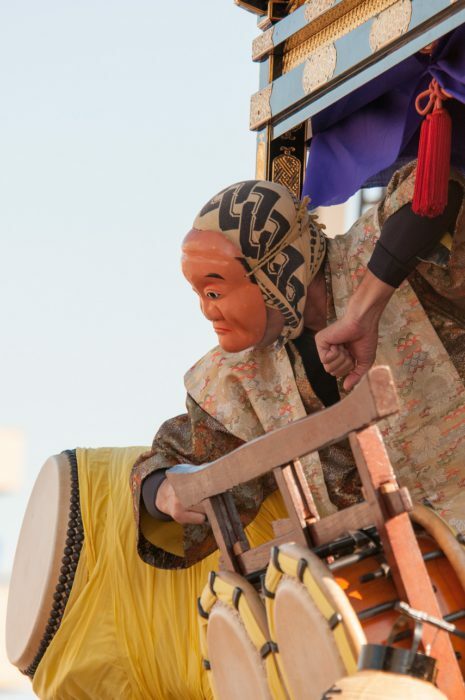 In 2005, the festival was designated as a National Important Intangible Folk Cultural Property under the title of “Kawagoe Hikawa Festival Float Event”. 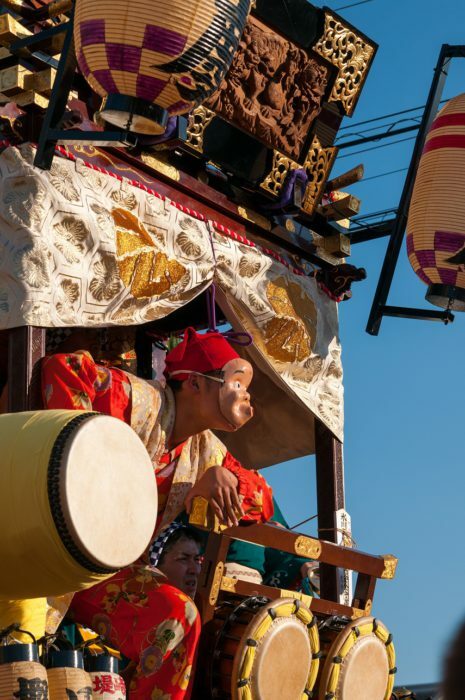 This year, 29 floats representing local communities around Kawagoe were pulled to the event ground for an impressive show of history, music and craftsmanship. Goodbye Kawagoe Festival 2016. See you again next year! No better place to learn than Japan.